Repair, Renovation and Restoration of existing water bodies should be given very high priority for water management particularly in drought-prone areas. In such areas, inventory of water bodies in the villages and nearby areas may be prepared and geo-mapped, said the Niti Aayog in the road map of Pradhan Mantri Krishi Sinchayee Yojana (PMKSY). These water bodies should be put in use for maximum water storage which would facilitate recharging of ground water and meeting the demand of water for drinking, irrigation and other purposes during the off-rainy seasons. They would also act as natural sinks for storage of excess water during rainy season thereby reducing the run off of water and incidence of flood, it said. Read: What has gone wrong in Marathwada? The PMKSY has been conceived by the central government with an overarching vision to ensure access to some means of protective irrigation for all agricultural farms in the country and to produce more output per unit of water. The approved programme has four components namely Accelerated Irrigation Benefits Programme (AIBP); Har Khet Ko Pani; Per Drop More Crop; and Watershed Development. AIBP includes Major and Medium Irrigation including National Projects. The programme component, ‘Har Khet Ko Pani’ covers Command Area Development and Water Management (CAD&WM); Minor Irrigation (both surface and ground water); and Repair, Renovation and Restoration (RRR) of water bodies. Renovation of existing water bodies for facilitating storage of rain water (Jal Sanchay) would continue to be a preferred water-management strategy, particularly for drought-prone regions. The Per Drop More Crop component is aimed at increasing on-farm water-use efficiency by using suitable water conveyance and precision water application devices like drips, sprinklers, pivots and rain-guns in the agricultural farms (Jal Sinchan). It also covers extension activities for promotion of scientific moisture conservation and agronomic measures including adoption of suitable cropping pattern so as to obtain maximum benefits with minimum use of available water (Jal Sanrakshan). Under ‘Watershed Development’, priority is accorded to rain water harvesting; effective management of the run-off water; prevention of soil erosion; regeneration of natural vegetation; and re-charging of the ground water table. Rainwater harvested in ponds and other water storage structures as well as sub-surface storage of unused rainfall is highly useful in meeting the demand of the villagers for irrigation, drinking and other purposes during the off-rainy seasons. Under AIBP component of PMKSY, focus is on faster completion of on-going major and medium irrigation including National projects. Presently, 149 major and medium irrigation projects are approved for Central assistance under AIBP. Out of these, 99 projects have been prioritized for implementation under PMKSY as these can be completed in a period of 2 to 3 years if estimated funds are made available both by the Central and the concerned State Government. Additional irrigation coverage over 76 lakh hectare is expected with completion of these 99 projects. 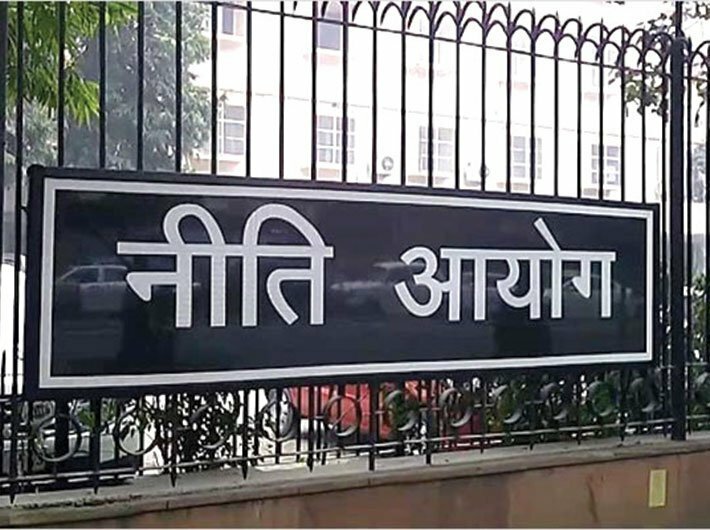 The Niti Aayog said that out of the 99 prioritized projects under AIBP; 23 projects (Priority I) are targeted for completion during 2016-17, 31 projects (Priority II) during 2017-18 and the remaining 45 projects (Priority III) by December, 2019. Central assistance of Rs. 6,535 crore (Rs. 3,802 crore under AIBP and Rs. 2,733 crore under CAD&WM) is required for completion of the 23 early bird projects having potential to provide coverage of assured irrigation to about 14.53 lakh hectare. All the 99 projects being taken up under AIBP must include CAD&WM works in order to ensure that the irrigation potential created gets utilised without any time lag. Priority needs to be accorded to CAD&WM so as to fully utilize the irrigation potential, which has been created by implementing major, medium and minor irrigation projects in the country. In the major and medium irrigation sector, 35.01 million ha area is covered under irrigation against the created potential for 47.41 million ha. Similarly, in the minor irrigation (surface) sector, 12.43 million ha is covered under irrigation against the created potential for 15.72 million ha. The total gap between Irrigation Potential Created (IPC) and Irrigation Potential Utilized (IPU) is 15.69 million ha, (12.40 million ha in major and medium irrigation sector and 3.29 million ha in minor irrigation sector). A scheme may be planned by the Ministry (MoWR,RD&GR), in consultation with the States/UTs, for bridging the gap of 15.69 million ha in the sector of surface irrigation and also for bridging the reported gap of 7.58 mha in respect of irrigation projects using groundwater. Presently, there are 4,181 on-going Surface Minor Irrigation Schemes in 19 States which require Rs. 9,127 crore as central assistance and carry potential to provide irrigation over 10.18 lakh ha. These projects may be taken up on priority in States getting less benefits with prioritized projects under AIBP and CAD&WM. However, the details of on-going Surface Minor Irrigation Schemes need to be further verified by the Ministry with the States/UTs.